The property features a mix of one-bedroom, one-bath and two-bedroom, two-bath apartments that include in-home full-size washers and dryers, wood-style flooring, hard-surface countertops, double-sink vanities, kitchen islands, large closets and skylights. 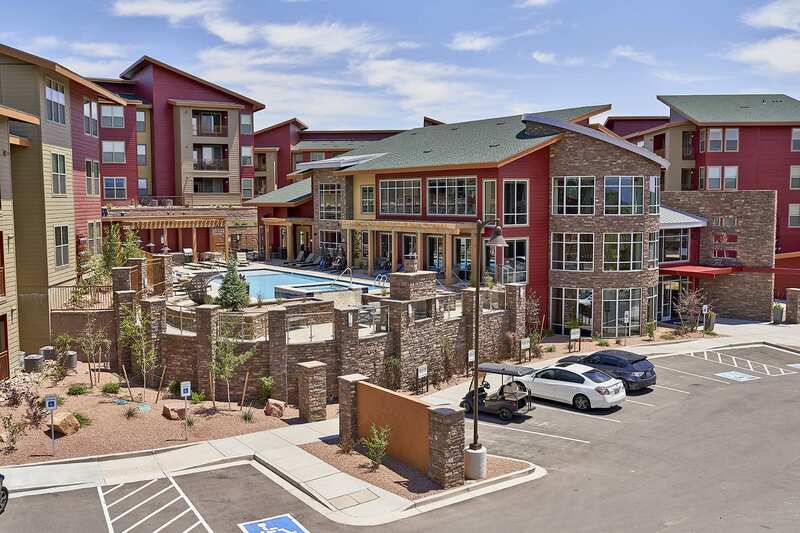 Cortland Partners added a second Colorado Springs apartment community to its portfolio with its acquisition of a newly built asset. The Atlanta-based multifamily investment and management firm paid $65.8 million, or $241,912 per unit, for Elevation, a 272-unit community at 4637 Asher Heights. Renamed Cortland Powers North, the community was completed in 2018. McKenna and Newmark Knight Frank’s Saul Levy represented Vedura Residential in the sale for which there were a number of interested buyers – many new to the Springs market. “The amenities, the finishes are top of the market,” added McKenna, noting Cortland Powers North also has the largest fitness facility in an apartment community in Colorado Springs. The property features a mix of one-bedroom, one-bath and two-bedroom, two-bath apartments that include in-home full-size washers and dryers, wood-style flooring, hard-surface countertops, double-sink vanities, kitchen islands, large closets and skylights. Community amenities include a 24/7 fitness center, resort-style pool and outdoor kitchen.